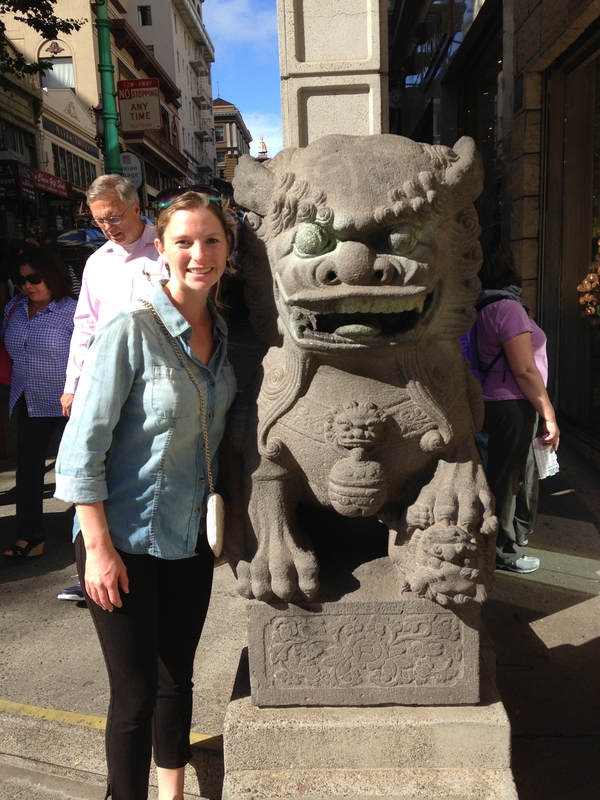 Even though it wasn’t hot (70s with zero humidity) and the breezes felt cool, that sun was STRONG! 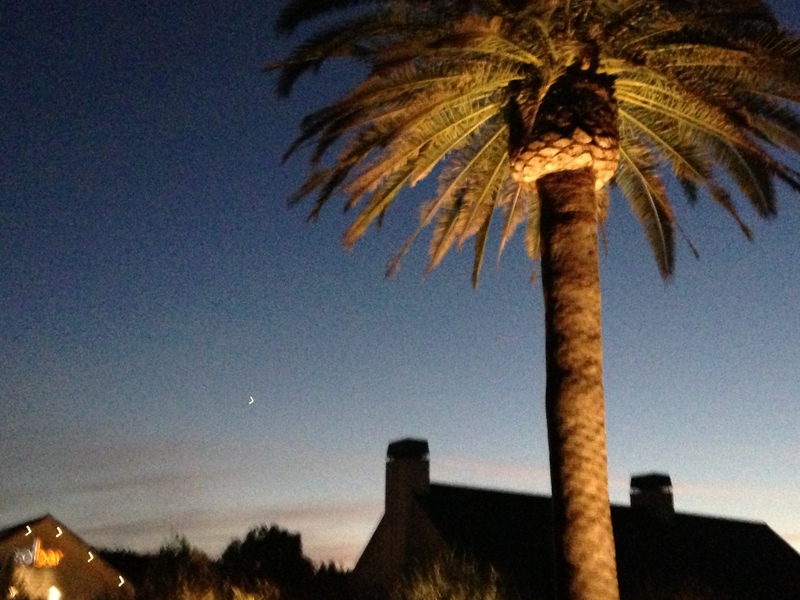 Mark and I just got home from an amazing wine-tasting vacation to San Francisco and Napa Valley (with some Sonoma thrown in). We ate waaaay too much gourmet food, tasted tons of wines, and took many, many pictures (well that was mostly just me). Our trip to Napa was planned for us by a friend (thank you to Steve) who owns a liquor store in Baltimore. Having someone else plan your vacation for you is the only way to travel I’ve decided! We didn’t have to pre-plan our hotels or wine tastings, however we did arrange most of our meals, but you literally cannot go wrong choosing a restaurant there – each one is fantastic. 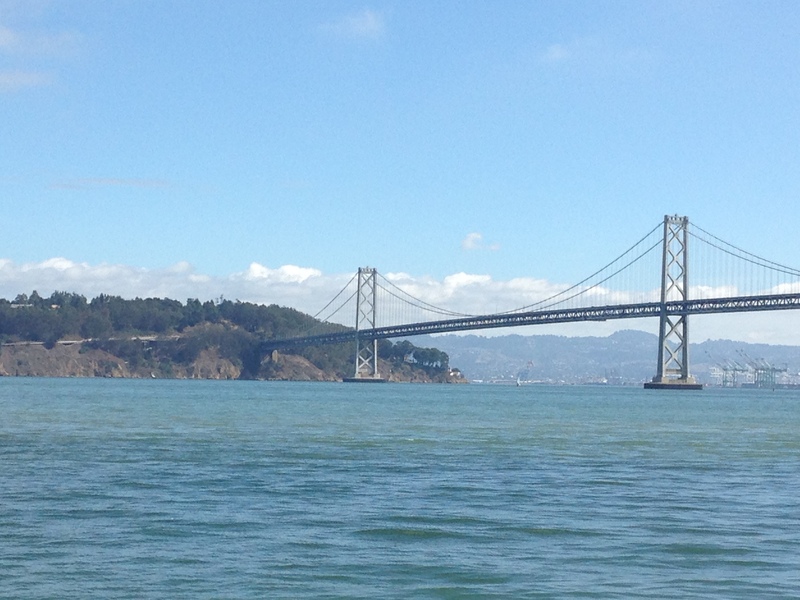 In San Francisco, we had a light-feeling but completely filling lunch at Slanted Door, a Vietnamese restaurant in the Ferry Building. We made a lunch reservation at 11:30 because there weren’t any dinner reservations available, and then we saw why: when we showed up at 11am, there was already a long line of people (all with reservations it seemed) waiting for the restaurant to open! Clearly this place is super popular. The previous night, while waiting for our dinner table at the Italian restaurant Perbacco, we struck up a conversation at the bar with a local guy who said he used to eat at Slanted Door at least once a week. He recommended a bunch of different dishes to try, as well as an iced Vietnamese coffee, which is essentially very strong coffee mixed with sweetened condensed milk, as far as I could tell, which was SO strong and sweet and I drank it in about 5 minutes it was that good. Maybe I need to start mixing all of my coffee with sweetened condensed milk…and gain 50 pounds immediately. I’m still dreaming about the shaking beef (chunks of filet with red onion and perfectly sour lime sauce), spicy shrimp with hot and sweet mixed peppers and cellophane noodles with dungeness crab that had a very delicate flavor (we should have had it as an appetizer so as not to overwhelm it with the strong flavors of the other dishes – note to self). I fully intend to order the restaurant’s cookbook and start practicing my Vietnamese cooking at home! 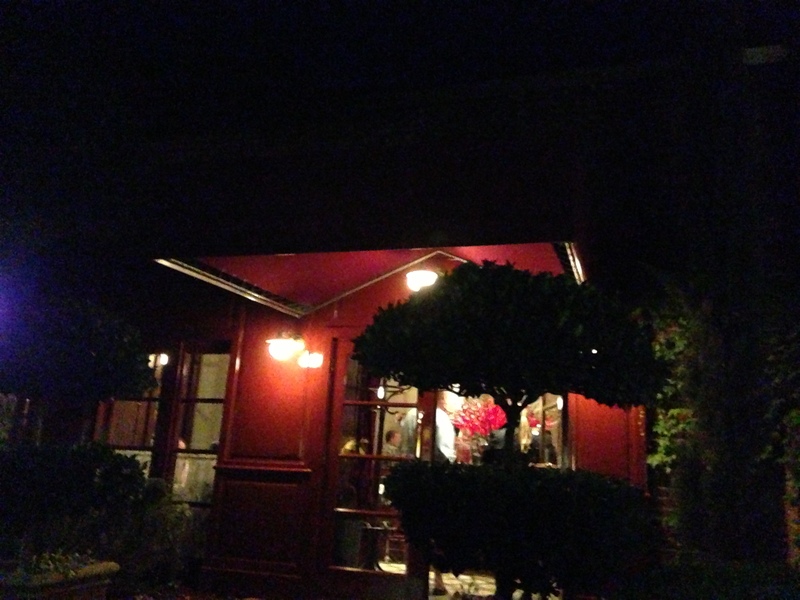 In Napa, we ate at a few well-heeled restaurants: Bouchon, a brasserie-style restaurant from Thomas Keller, the owner/chef of French Laundry (suuuper fancy above my pay grade), Redd Wood, a pizzeria from chef/owner, Richard Reddington, of Redd (another restaurant whose preparations are a bit over my head/palette) and Solbar, a Michelin-starred restaurant, whose chef trained at French Laundry and was the sous-chef at Gary Danko in San Francisco (fyi, we heard this was la creme de la creme of SF but didn’t dare venture there ourselves). 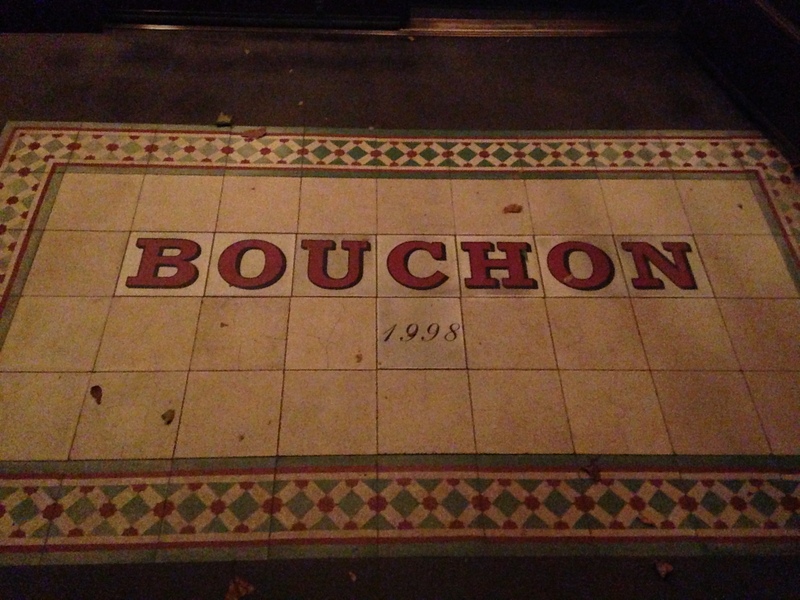 At Bouchon, I had my two faves: soupe a l’oignon and escargots. 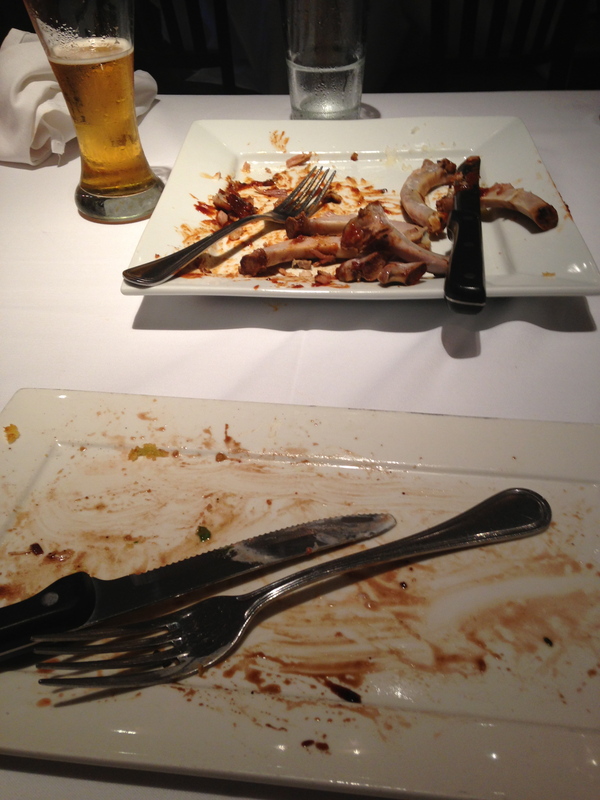 Both delicious, but both so super rich that I could barely fit another bite into my stomach halfway through the meal. Keep in mind these are both appetizers – I didn’t even order a main. The onion soup was rich and cheesy with very beef-flavored broth. It almost tasted like the au jus that comes with a French Dip sandwich. By the time the garlic butter snails arrived, each with their own tiny, buttery puff pastry atop, I was already stuffed! Yummy! 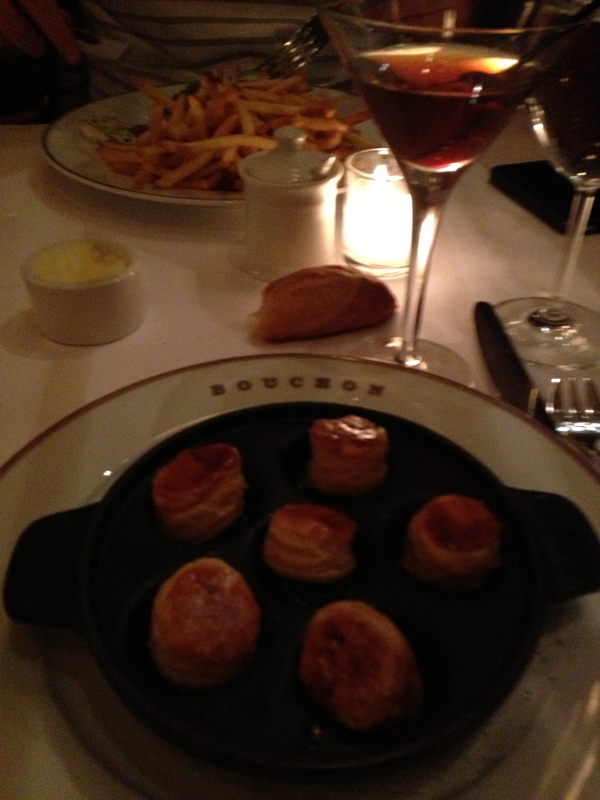 Escargots with puff pastry and black walnut Manhattan. 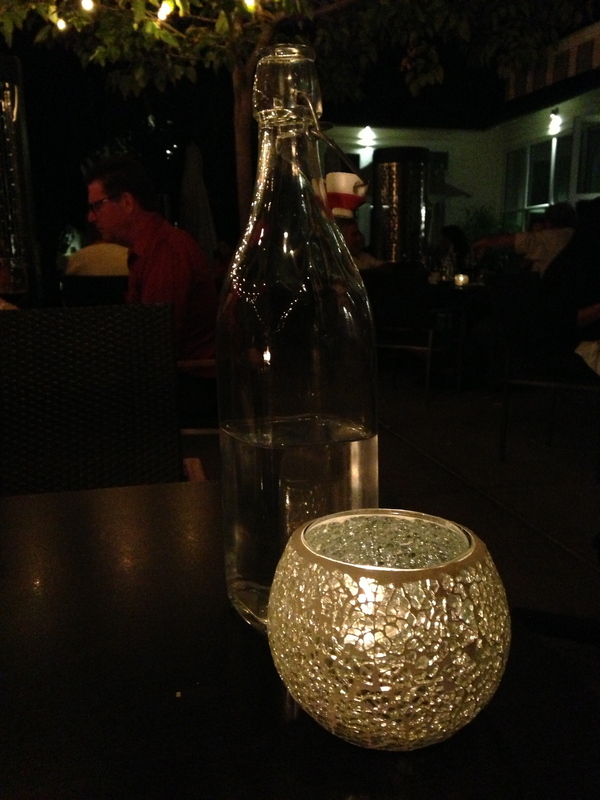 At Redd Wood, I had a wonderful pizza margherita done in the wood-fired oven. The fresh mozzarella wasn’t too chewy and the tomato sauce sort of reminded me of the sauce that comes in a can of SpaghettiOs (but not in a bad way). Even though this was delicious pizza, it made me realize that what I’m searching for here in Ann Arbor is brick-oven pizza, not wood-oven pizza…okay the search continues. 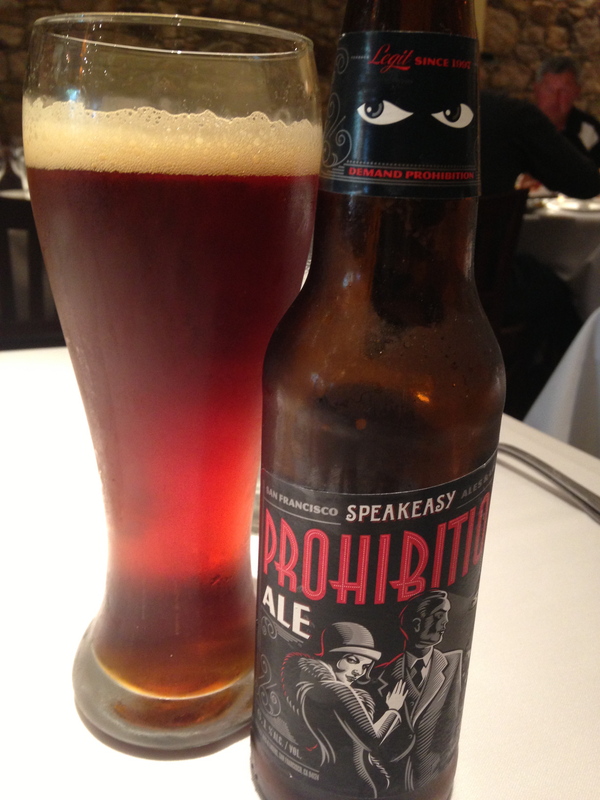 I liked the shifty eyes on this “Prohibition” beer bottle. The beer itself was too sour for me. 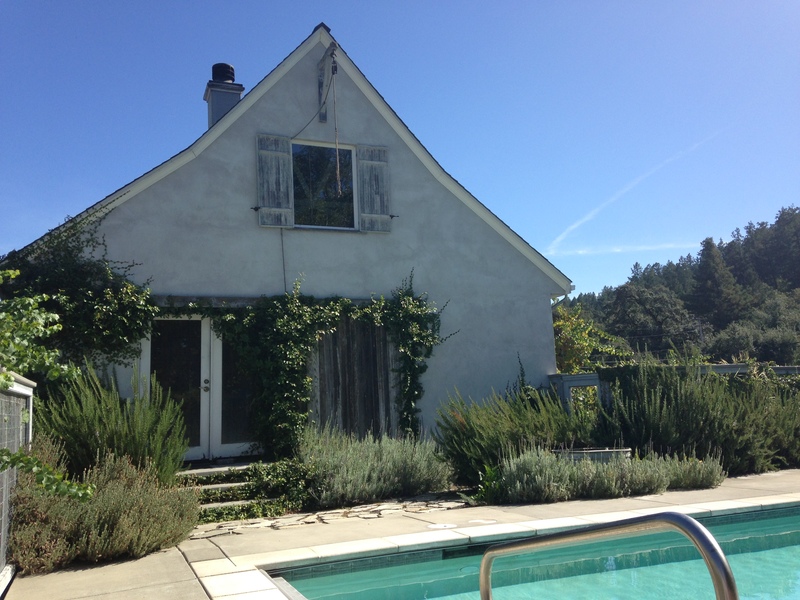 We spent the first three nights of our Napa ‘venture at Chateau de Vie, an AMAZINGly cute B&B in Calistoga. 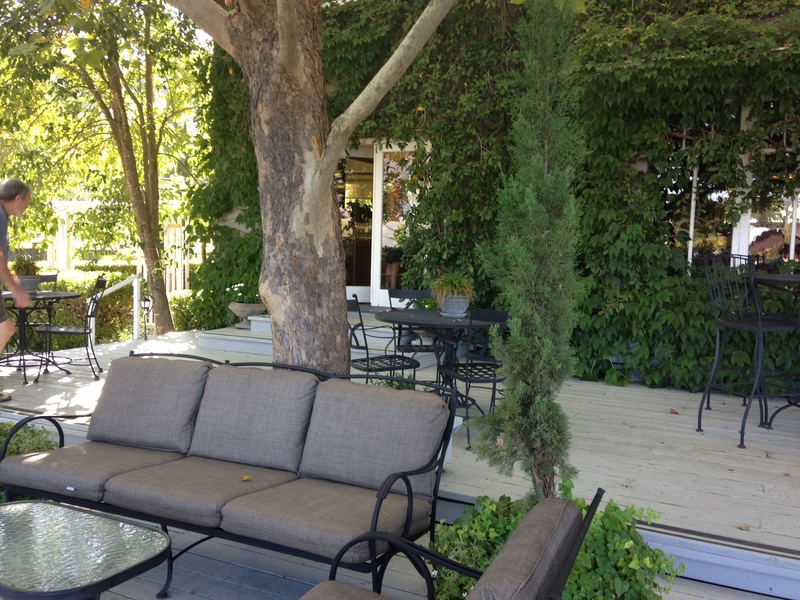 The proprietors, Philip and Peter, were so hospitable, providing CdV take-home, reusable water bottles, hearty breakfasts including homemade lemon raisin or multi-berry scones and muffins, and an open wine cabinet from which a glass could be enjoyed on the patio or out by the pool. They also make their own cabernet sauvignon, which we didn’t have the opportunity to try while there, so we purchased a bottle to take with us to remind us of our time there when we’re back at home. 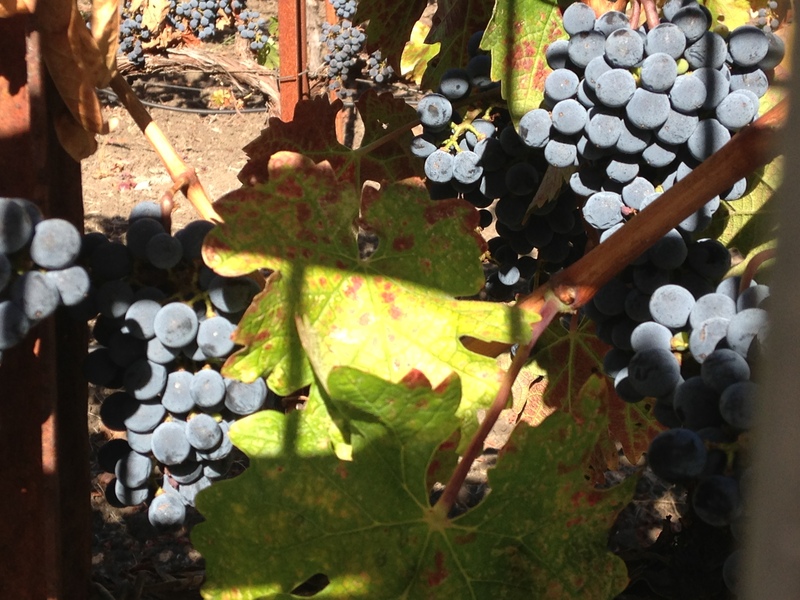 Grapes at Chateau de Vie Lounging by the pool after a long morning of wine tasting 🙂 Patio at Chateau de Vie where you could eat breakfast or enjoy the afternoon sun. 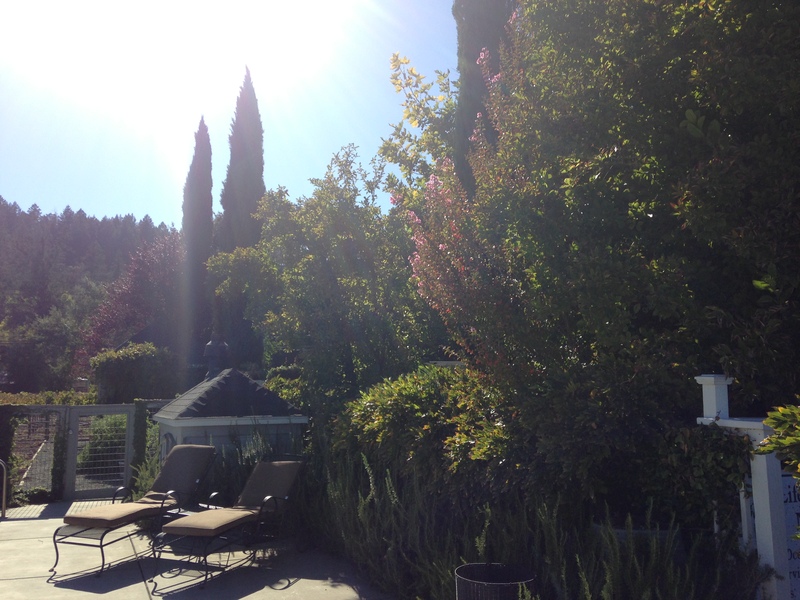 Calistoga was founded as a spa town around the time of the Gold Rush given the natural hot springs, and the town’s main street looked like what you would expect from a Wild West town, complete with old men in cowboy hats sitting on benches. 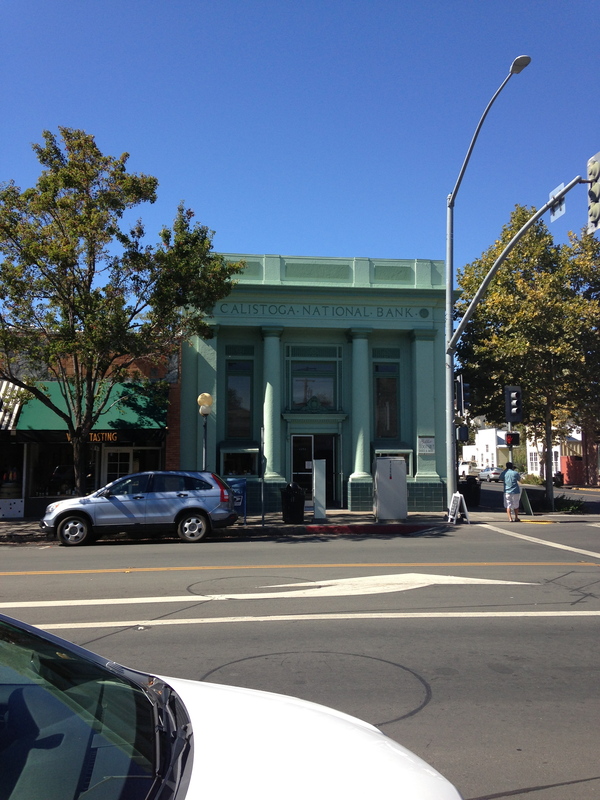 This is the front of the bank, obviously. 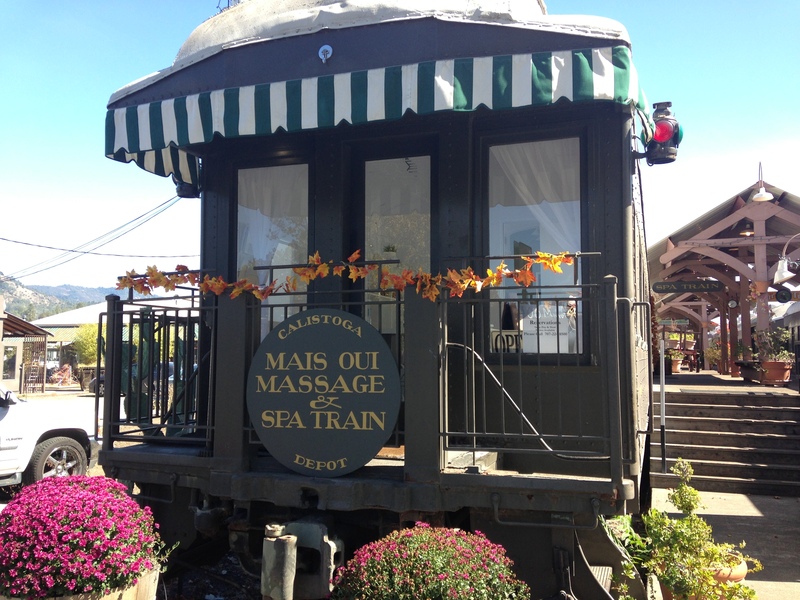 Spa on an old train! 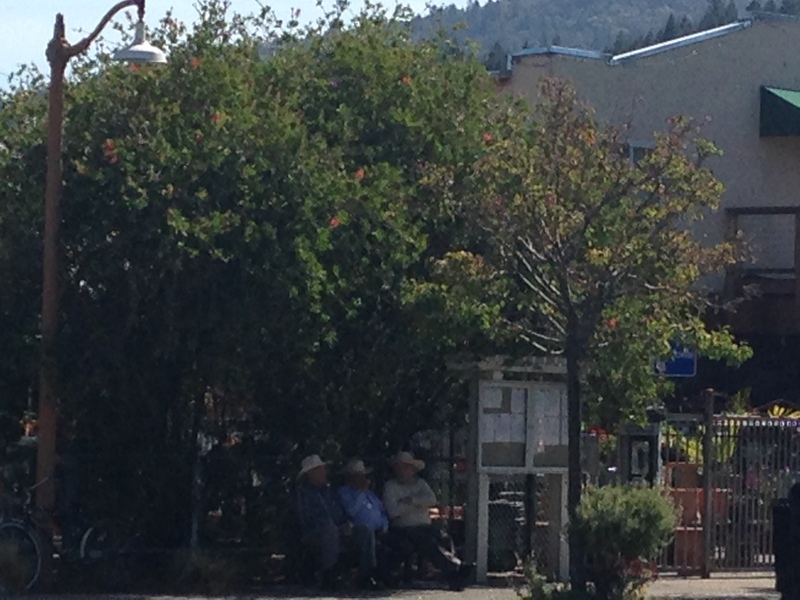 Old men on a bench with cowboy hats…sorry this is so dark, I was trying to stealthily snap their photo. 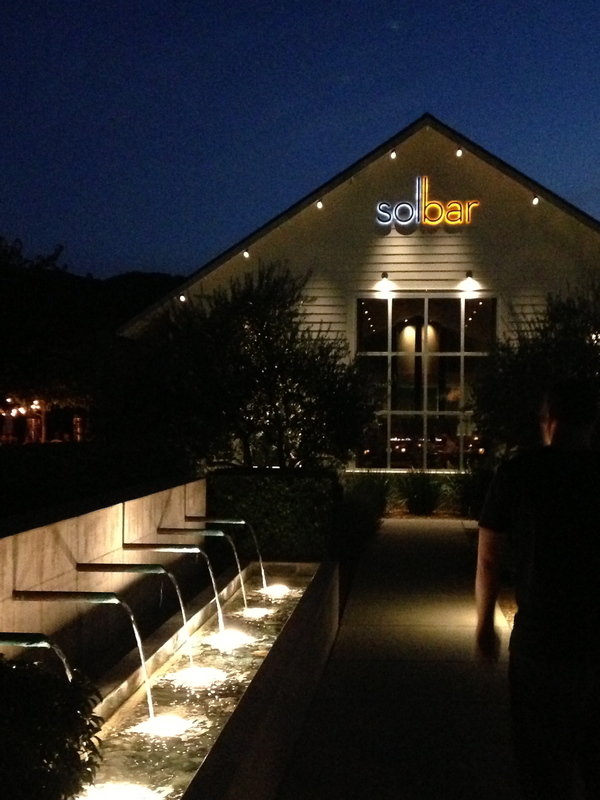 The second night in Napa Valley, we at at Michelin-starred Solbar at the recommendation of our host. 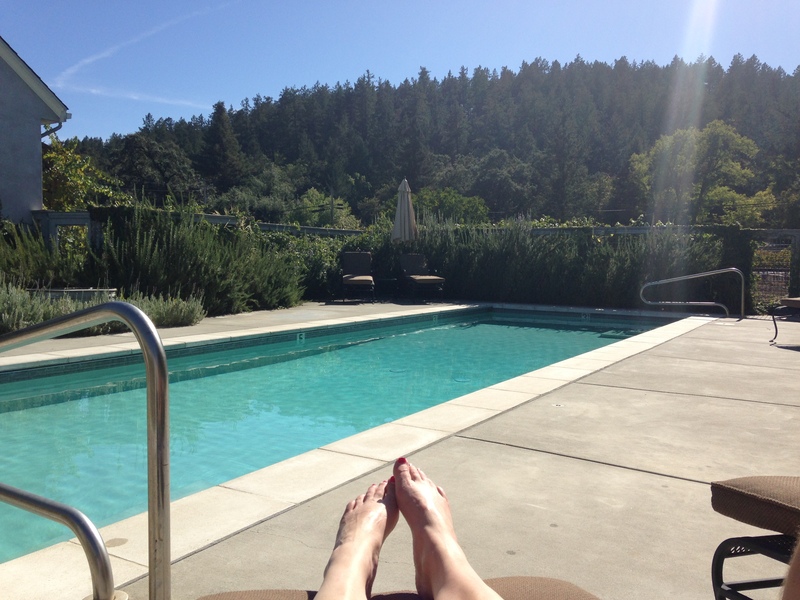 It’s in the Solage resort in Calistoga. 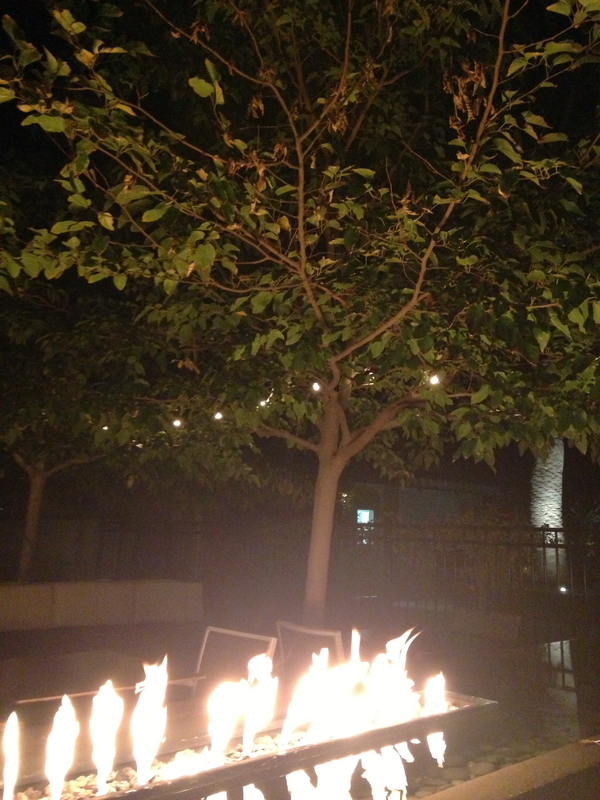 We sat outside on the patio which was festively decorated with pumpkins for the fall and a fire pit within the fountain – cool! My scallops with sesame-sake sauce were perfectly cooked and super light. 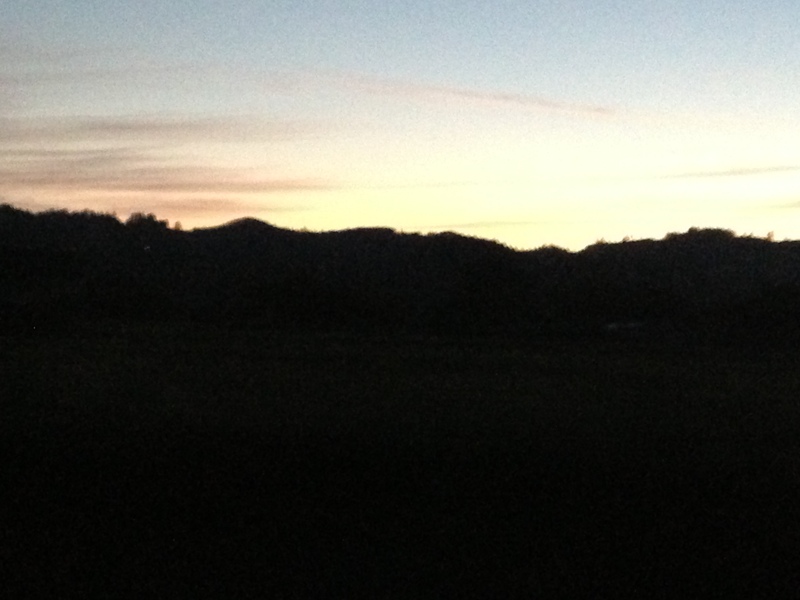 It was a gorgeously clear night and beautiful surroundings. In addition to all the great meals we had, we tasted many, many, many wines along the way. We were scheduled at two to three wineries each day, and even though by the end of the week we almost had to drag ourselves to the last two appointments, each place was unique and interesting and I’m so glad we went to every one. 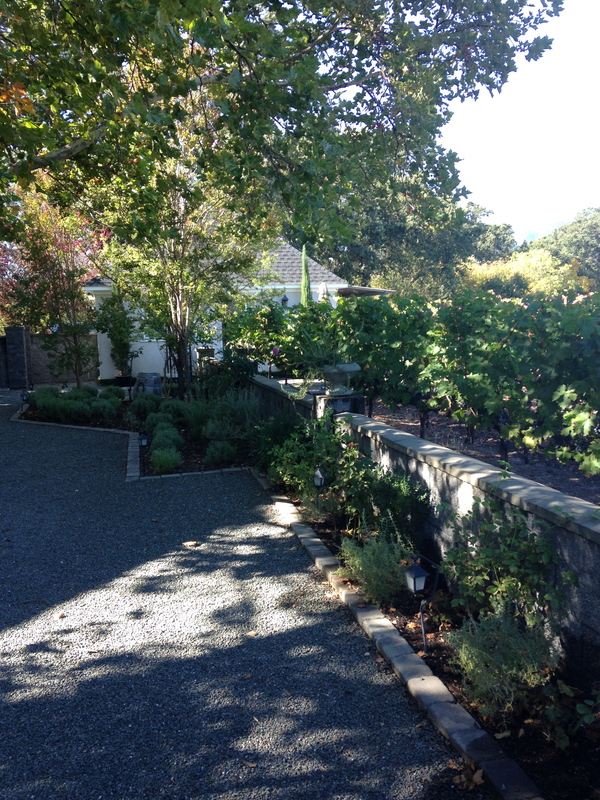 At each winery/vineyard, we either took a tour or just had a tasting, depending on how it was set up. The tastings were usually four different wines (different vintages of the same thing, different grapes or different styles) however the last winery we visited was Opus One, where they only make one wine per year (actually they make a secondary, “lesser” wine that is apparently only available at the winery for $80). 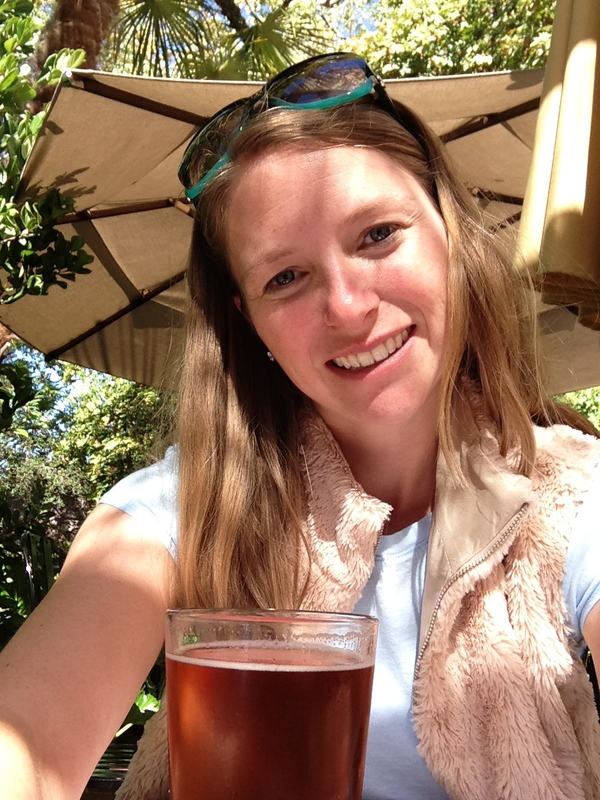 The current vintage (2010, as it takes 3 years to make and release each October 1) is $235, so needless to say we did not purchase a bottle, but we fully enjoyed sitting in their courtyard surrounded by olive trees, drinking our complimentary glass. 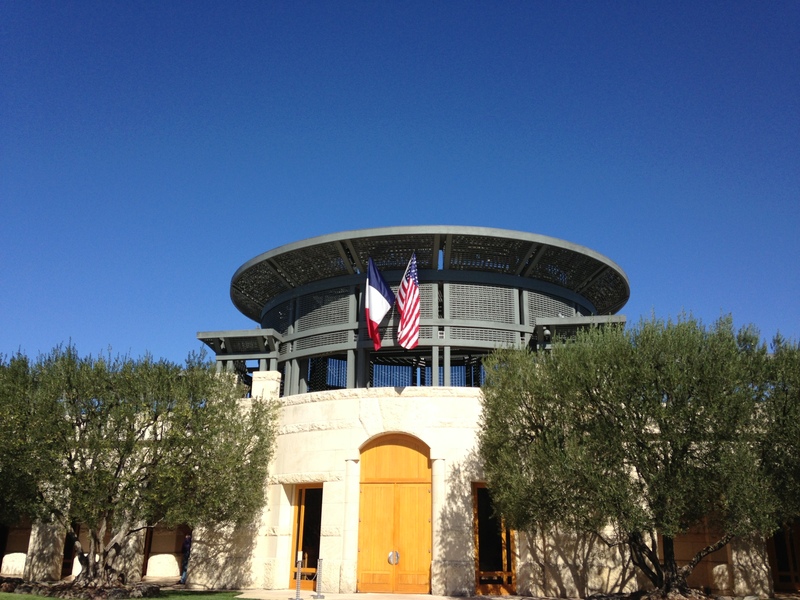 Even though this was our last tour, it was one of the best, with an extremely knowledgeable tour guide, Hank, who has been with Opus One for 16 years. We got to see the machines and people at work sorting grapes (they have a fairly person-heavy process comparatively with actual people pulling out leaves and debris), removing stems and moving through the optical eye machine that shoots perfectly-placed jets of air to get rid of any imperfect grapes, as determined by the preset criteria fed to the machine. The winery was founded as a partnership between Baron Philippe de Rothschild, a preeminent French winemaker, and Robert Mondavi, then a virtually unknown California winemaker, in 1979. 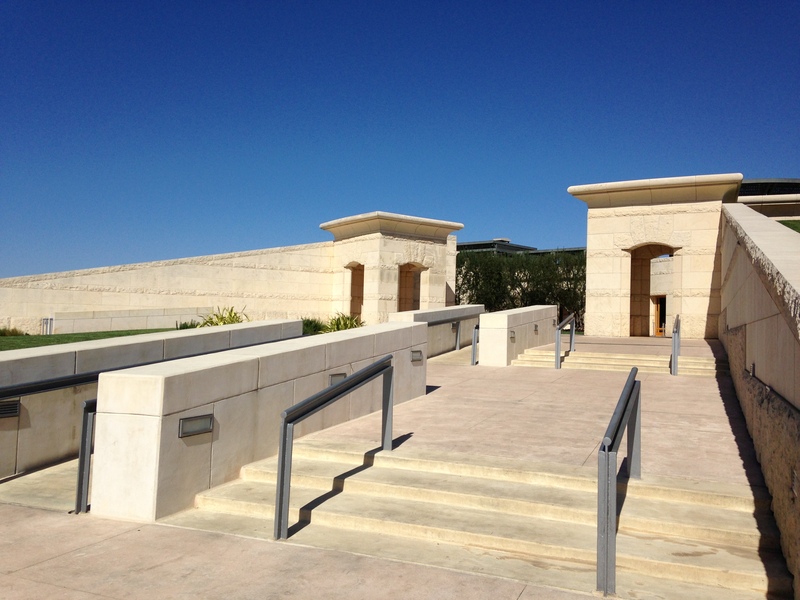 The winery was built to marry new and old world architectural features and was designed to resemble a temple (while walking up I said it looked like a tomb…so not far off!). 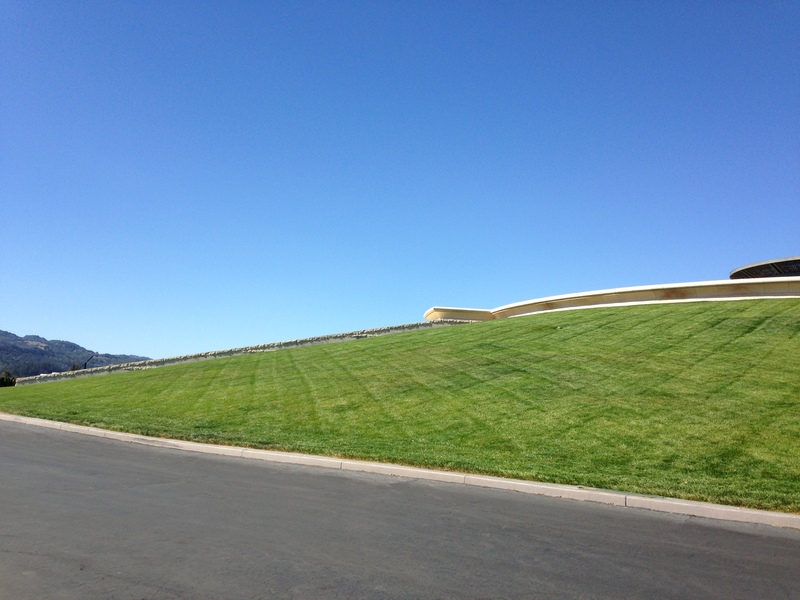 The winery is built into a hill so that the caves are underground and they’ve replanted grass all over the top of the winery, so it almost looks like a hidden bunker when you drive by. 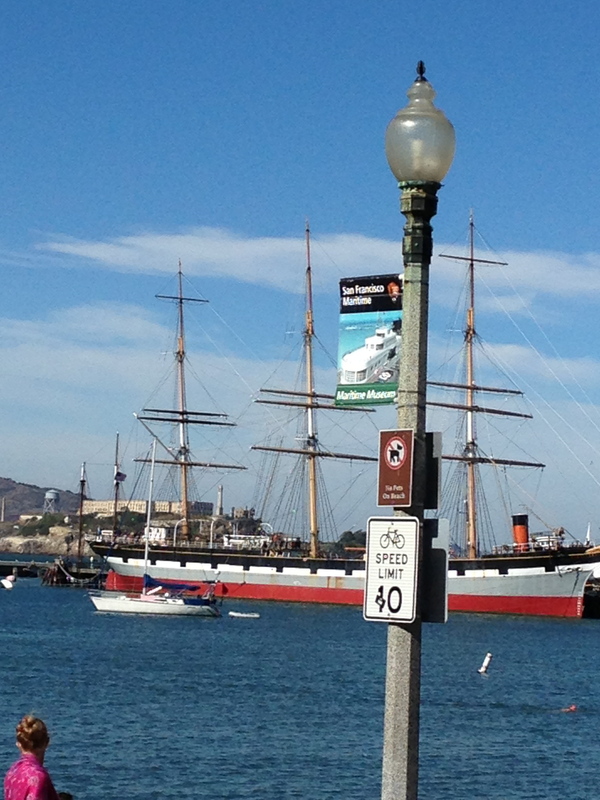 I knew I was going to like this place when I saw the huge French flag out front! 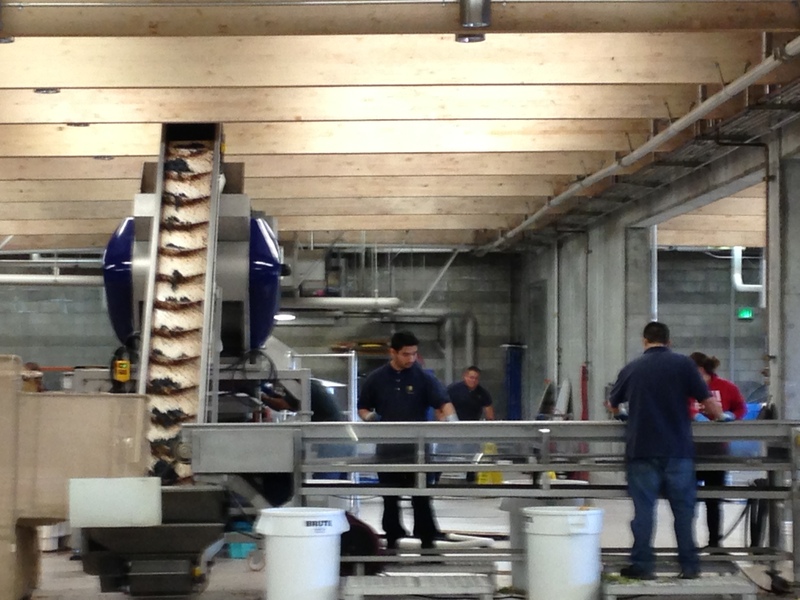 Conveyor belt transporting grapes to be sorted. 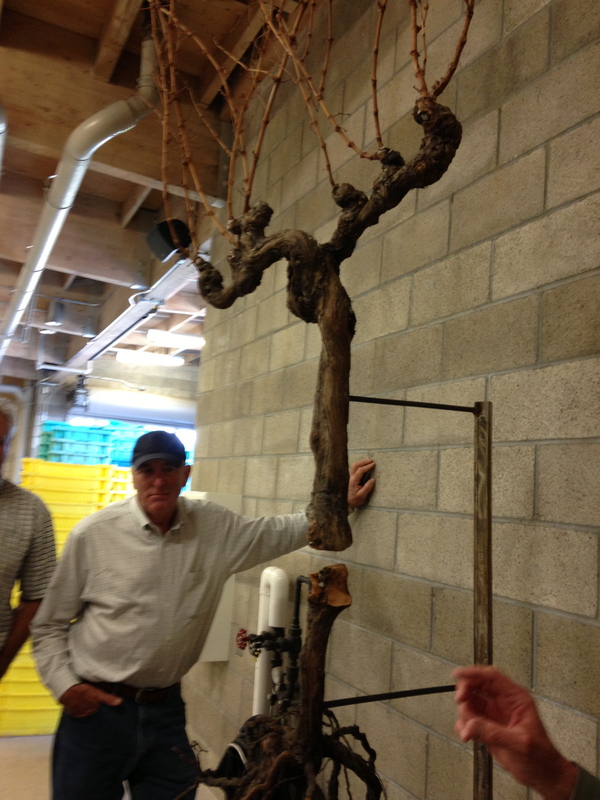 This was the first time in the whole week that I really understood the idea of grafting French vines on American roots as the American roots are more resistant to disease/parasites but the French vines produce much better wine grapes. 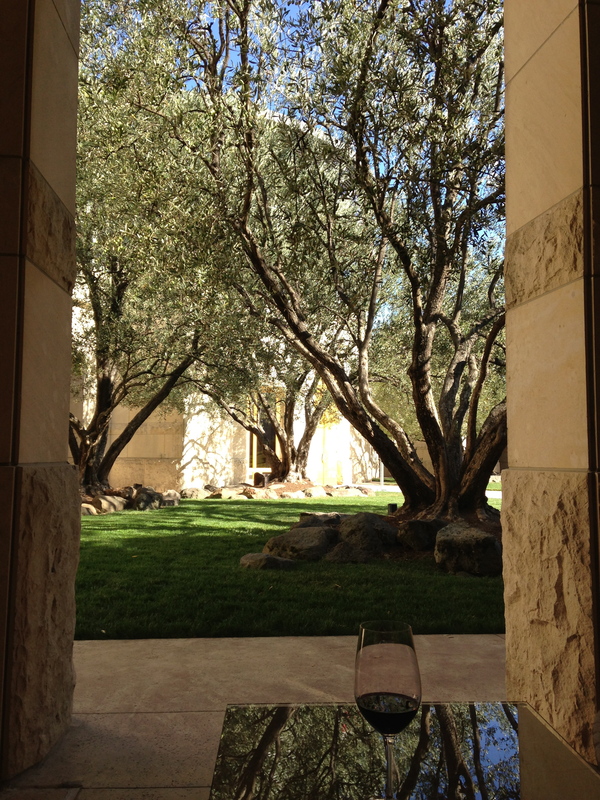 Relaxing under the portico looking at olive trees. A lot of the wineries also produce olive oil, but many are quite peppery and burn the tongue (I tried a raw olive off the tree and could only stand to bite my front teeth into it before it was too bitter and I spit it out). 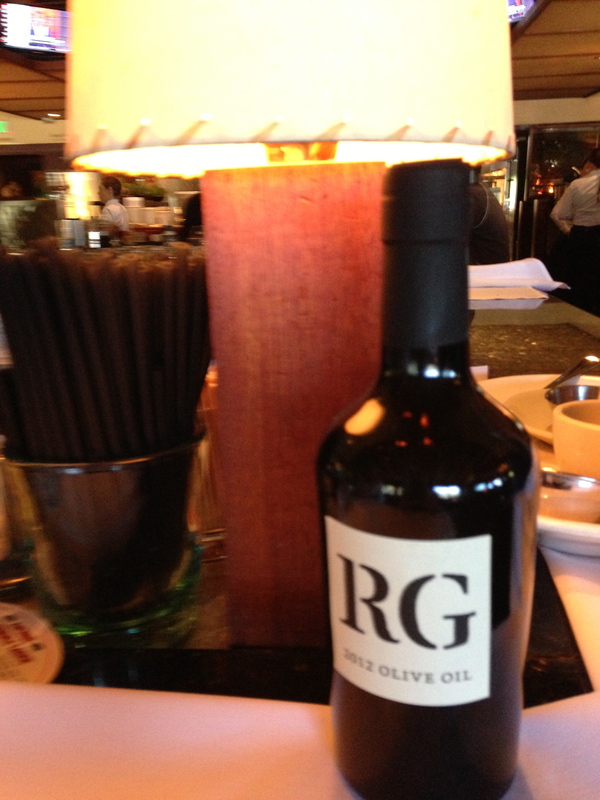 We did purchase some smooth and only slightly peppery oil from the Rutherford Grill where we ate lunch. It will be perfect for garnishing antipasto, salads and dipping bread – they had some awesomely salty/rosemary focaccia there at the Grill. Double yum! 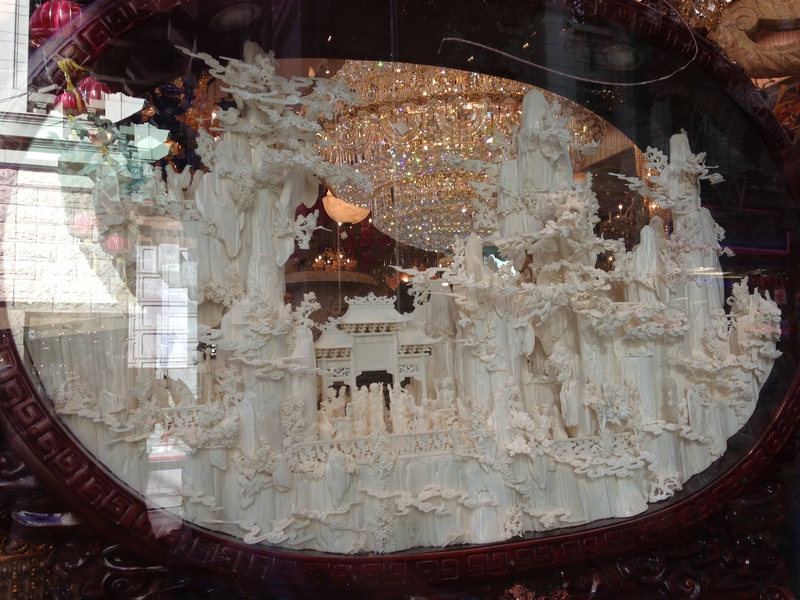 This seems like a really long post already and I could keep going on and on about all the other cool things we saw and did…so, to be continued!